To implement that pledge, let's check our own happiness score, shall we? The considerate folks at Oxford University have developed a handy questionnaire with 29 questions to help us do just that. I think the questions are a nice nudge to work on those areas so we can be happier together, while making a world a happier place. What do you think? Don't linger too long with each question. There are no right and wrong answers. Just go by the answer that first pops into your head when you read the question. Stuck for an answer? Just go by what is true in your case most of the time. With some questions, you'll see an (R) These should be scored in reverse. So, if you gave yourself a 1, change it to 6. 2 should be 5; 3 is 4; 4 is 3; 5 is 2 and 6 is 1. Now add the numbers for the 29 questions. Divide the total by 29. 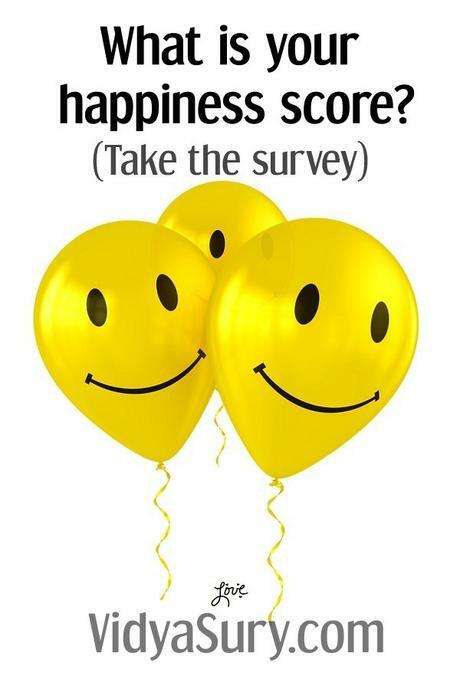 This is your happiness score. Make a note of the date and your score, so if you check again another day you can compare your scores, which I hope, will rise. Apparently the average score is between 4 and 6. 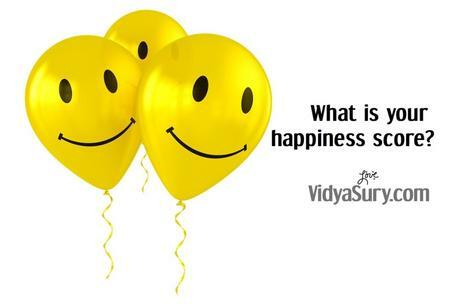 What's your happiness score today? Happy International Day of Happiness! Wednesday Wisdom is a series with short bursts of easy-to-consume wisdom in the form of stories, quotes, anecdotes, reflections and humor.